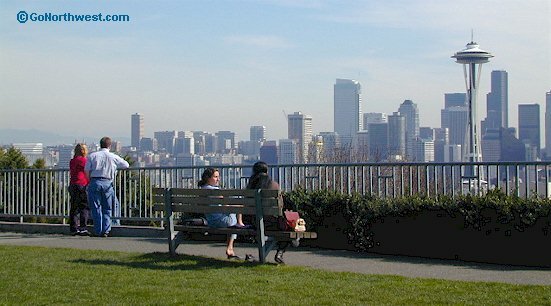 Kerry Park offers 180º views from over the north end of downtown Seattle and across Elliot Bay to Duwamish Head (with the neighborhood of West Seattle) and over Puget Sound beyond. The Space Needle stands prominently in close middle distance. 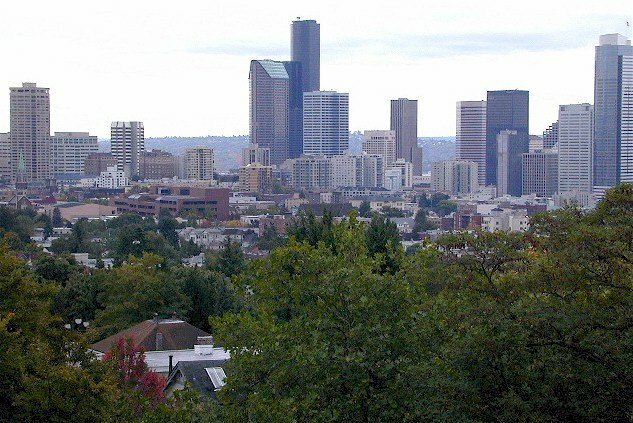 On a clear day "the mountain will be out"; Mount Rainier can be seen floating behind the city buildings. 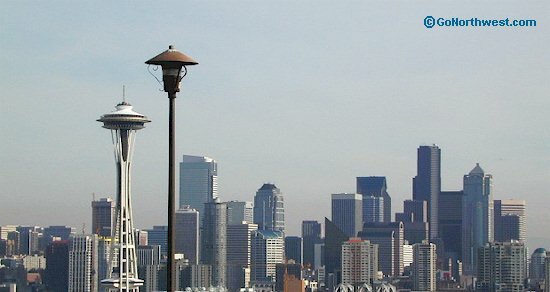 It is not the best angle for Seattle's waterfront, although it is worth hanging around for 10 minutes or so, to get a ferry in your picture. Best time for photos is in the PM, and sunset. The following photos were taken in mid-afternoon on a hazy, sunny day in late March. Click on photo for full-size image. A bench with a view (43kb). 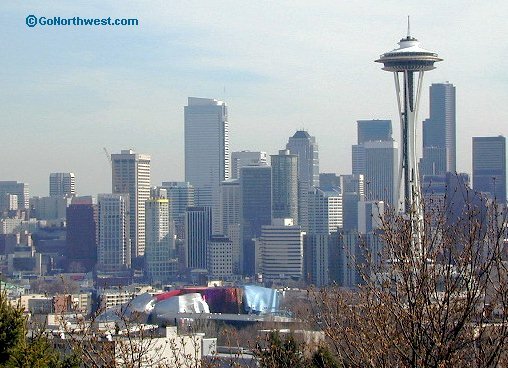 The classic skyline with the Space Needle and Mount Rainier looming in the background (28kb). The Experience Music Project lies at the foot of the Space Needle (57kb). 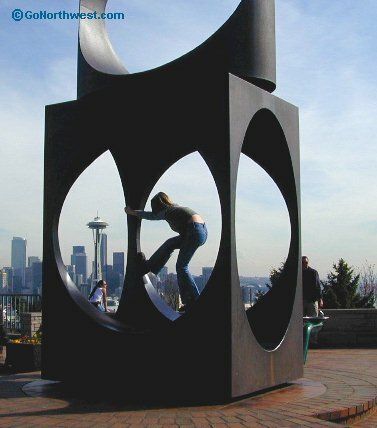 One of Seattle's most-photographed sculptures (28kb). Alki Point juts into a glittering Puget Sound (25kb).